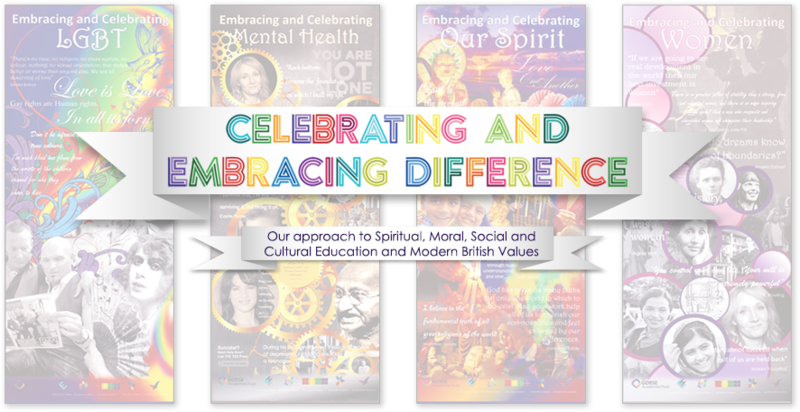 Spirituality – provide pupils with an opportunity to reflect upon their place in the world whilst also acknowledging and respecting other people’s faiths, feelings and values. Moral – ensure that our pupils understand the difference between right and wrong whilst also being able to debate empathetically and reasonably why other people’s moral and ethical standpoints maybe different to their own. Social – provide pupils with opportunities to discuss and engage in wide-ranging enrichment and community based initiatives with other groups of people from different socio-economic backgrounds, faiths and cultures. Cultural – develop pupils’ awareness of the wide ranging cultural influences that have shaped their own lives and heritage, whilst also acknowledging that there are a whole range of influences from further afield which have helped shape Britain’s history, values and place in the world. We are committed to providing our pupils with a variety of sporting, artistic, musical and cultural opportunities. Furthermore, we seek to develop, within our pupils, the core principles of fundamental British values. Our pupils are encouraged to accept and engage with the fundamental British values of democracy, the rule of law, individual liberty and mutual respect and tolerance of those with different faiths and beliefs.